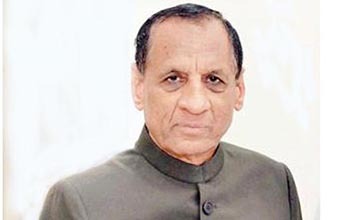 It was reported that joint governor Narasimhan had recently withdrawn from his Delhi tour. However, Narasimhan said that his intention was to complete his trip to the Center and he gave a detailed report on the irregularities in compensation to farmers in his tour, Some of these inaccuracies include media headlines.He is reported to have reported that the massive media representatives are also partners. He went to Polavaram from Hyderabad and collected the details of the illegality there. With the news of not being broadcasting, the governor also handed over the report to the Center in the report of Amravati. He focussed on the irregularities in the tribal areas. Some politicians, officials and media representatives went to the governor's attention to block the innocent tribes. The governor focused on this anarchy in tribal areas. Authorities, who support their innocence, are accused of looting the interests of the political leaders. There are allegations of hundreds of crores of rupees of irregularities in the case of Polavaram land acquisition. It is said that a number of irregularities are likely to emerge if the investigation is done.